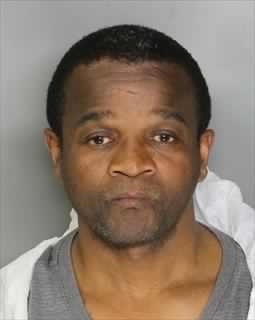 The Sacramento Police Department has arrested 47-year-old Timothy Varmall for murder related to the stabbing death of 44-year-old Smruti Patel. Patel succumbed to her injuries at an area hospital on February 12, 2015, three days after she was assaulted by Varmall. On Monday, February 9, 2015, at approximately 7:45 p.m., officers responded to the area of Del Paso Boulevard and Arden Way regarding an adult female that had sustained significant trauma to her upper body in a violent assault. The suspect fled the scene immediately after the incident, as officers were rushing to the area. The victim, identified as Smruti Patel, was transported to an area hospital where she later died from injuries sustained during the assault. Detectives were then called in to assist with the homicide investigation. Early on in the case it was determined that Patel was known to her assailant and this did not appear to be a random act. One week after the incident occurred, Varmall was identified, which ultimately led to his arrest that same day. Yesterday, February 16, 2015, Suspect Timothy Vermall was taken into custody at police headquarters for murder after being interviewed by detectives. The assault was ultimately discovered to have stemmed from a recent friendship between Patel and Suspect Varmall.